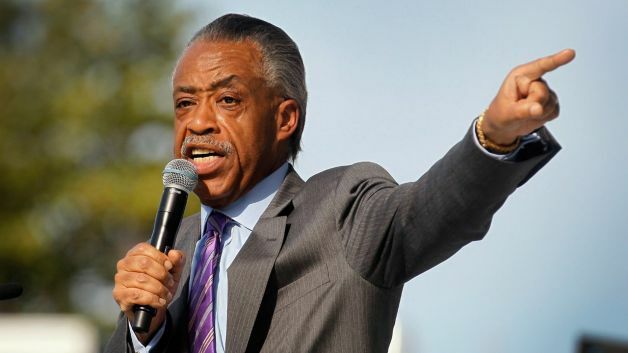 I keep hoping that Al Sharpton will shut his racist pie hole and just fade into the sunset. No such luck. 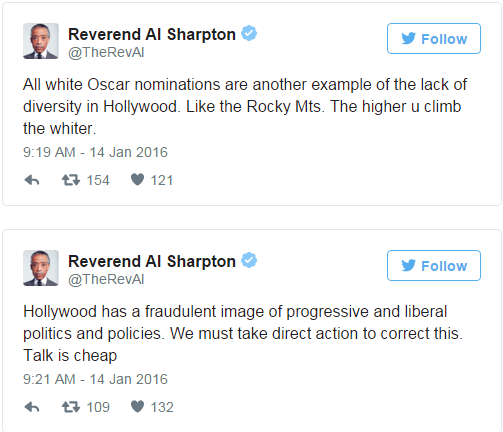 Now he’s railing against Hollywood and how ‘white’ the Oscars are. Please… get over it already. Talent doesn’t know skin color, only racists do. Which is why Al Sharpton is so qualified. Sharpton evidently wants affirmative action in Hollywood. Better yet, I think he believes only black people have talent. That’s about as racist as you can get. But hey, this Progressive jerk will say anything to get press, so why let the Oscars go to waste? Only Al Sharpton could make the Rockies racist. All this diversity crap is tiresome. Whatever happened to talent, excellence and being the best of the best? Allen West couldn’t stomach it anymore and simply eviscerated Sharpton in one epic Tweet: Sharpton says #Oscars are too white. Hey @TheRevAl is the NBA too black? http://bit.ly/1xaE1V7 #tcot. That was an awesome response. Just pitch perfect. Isabelle H-Gustafson Tweeted: @AllenWest @sigstarget @TheRevAl maybe someone should ask Sharpton why they have the BET awards! NO Whites there! So very, very true. But don’t look for Sharpton to quit race-baiting or whining anytime soon. After all, it’s all about Al, his skin color and how much money he can make off his latest scam.